When you come to an interesting place, sightseeing is the first important thing. Eating is the second important factor that you should care about. It would be regretful if you travel to a city without knowing where and what to eat there. 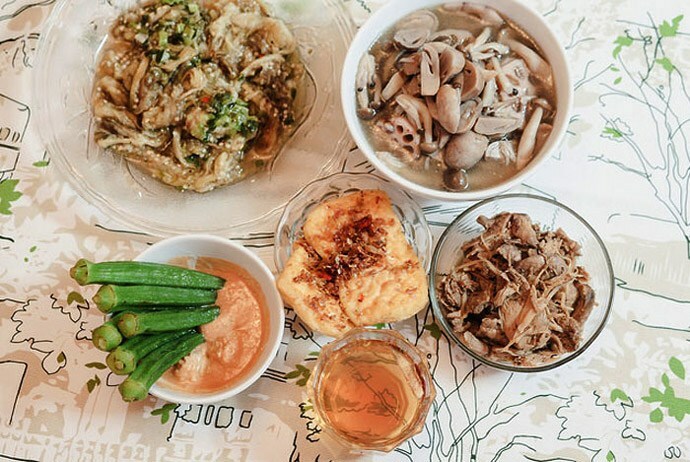 Keep reading for 15 best Hanoi restaurants. 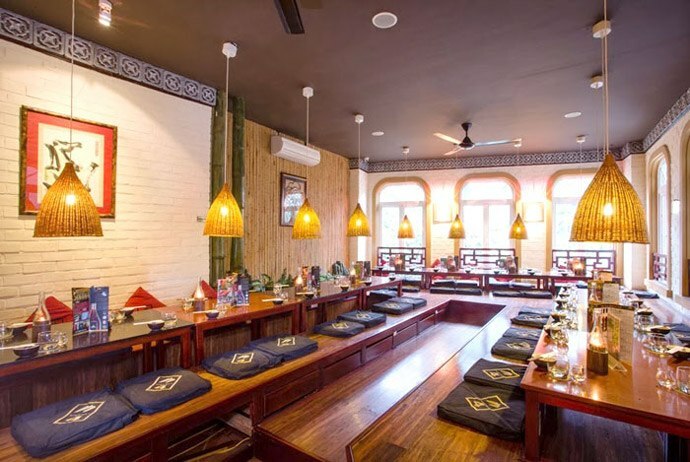 Sen Tay Ho is one among the 15 best Hanoi restaurants, Vietnam which can serve up to 1200 customers with more than 200 dishes of dissimilar gastronomical styles, including Vietnamese, Eastern Asian, and European cuisine. Sen Tay Ho has three eating areas called International Buffet, Hanoi Buffet, and Luxury Star Buffet. 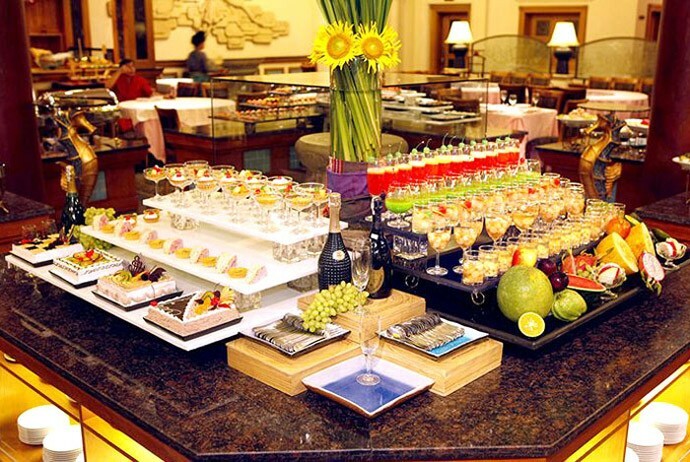 In the International Buffet area, you can enjoy excellent foods from famous cooking styles all over the world. In Hanoi Buffet area, you can try Vietnamese traditional foods and high-quality sea foods such as baked lobster (tôm hùm nướng), blood cockle (sò huyết), geo-duck (tu hài), salmon, tuna, and many more. Huong Sen is also one of the 15 best Hanoi restaurants. 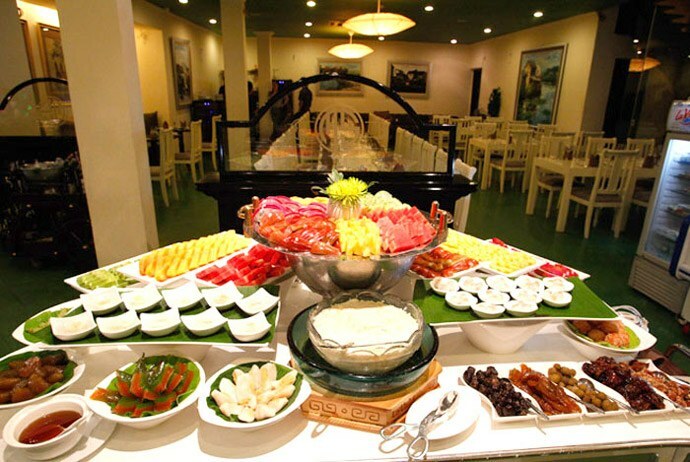 It can serve up to 800 customers with more than 140 buffet dishes. With high-quality sea foods and the most luxurious space in Hanoi, Huong Sen restaurant has been the destination of many tourist groups, companies, and Vietnamese families. The most outstanding dishes of the restaurant are crab steamed with beer and lemon glass (cua hấp bia sả), sashimi, salmon, grilled geo-duck (tu hài nướng), grilled leg of lamb (đùi cừu nướng). 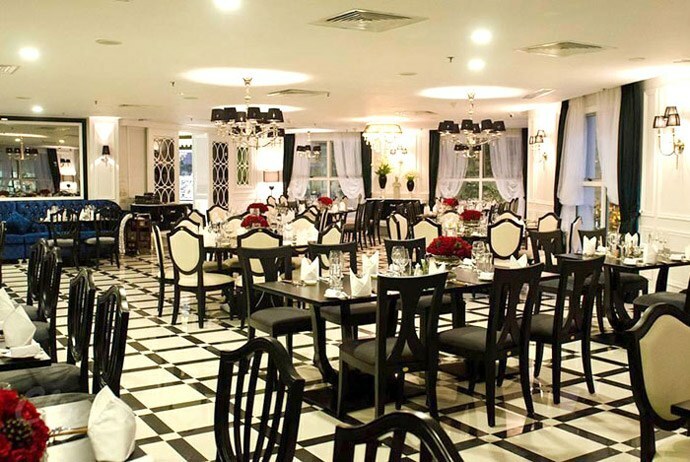 Moreover, the restaurant also serves tens of delicious vegetarian dishes without extra fee. The staffs are enthusiastic, thoughtful, and always willing to help. This is one of the best restaurants in Hanoi, Vietnam. 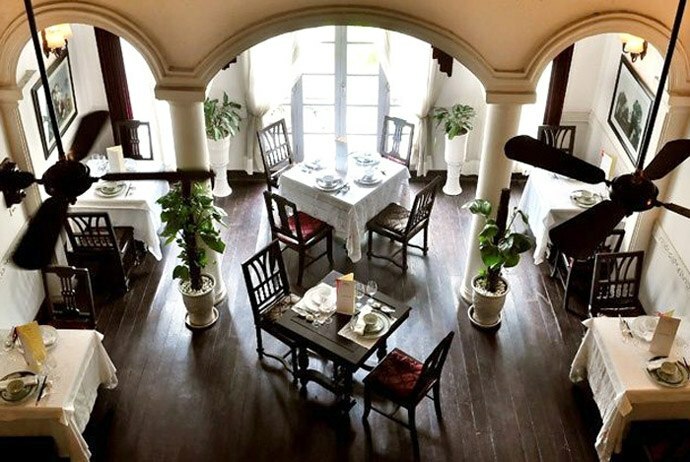 Sen Nam Thanh, located on Nguyen Du Street, has French antique architecture with lotus theme inside. This is one of 15 best Hanoi restaurants according to customers’ feedback. 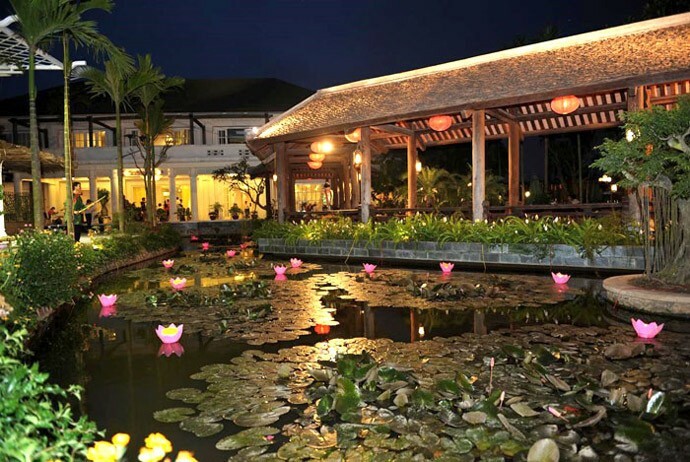 There is a beautiful lotus lake on the second floor of the restaurant that makes it outstanding and impressive. Moreover, there are many landscape pictures of Vietnamese countryside on the walls that contribute to the antique architecture, the main decorating style here. Walking to the rural market area of Vietnamese traditional foods in the restaurant, you can enjoy stuffed pancake (bánh cuốn), sizzling cake (bánh xèo), tapioca flour cake (bánh bột lọc), hot rice noodle soup (bún thang), water snail rice noodle (bún ốc), and many more. If you come to the open cooking area, you can see skillful chiefs making delicious and attractive dishes. The international menu at Sen Nam Thanh includes Japanese salami and sushi, pasta and pizza, Italian spaghetti, Hong Kong stewed chicken in abalone, and American grilled duck. Do not miss the chance to enjoy a meal at Sen Nam Thanh, one of the most popular Hanoi restaurants, when you travel to Hanoi city. Sen Ly Thai To, situated in the heart of Hanoi with neo-colonial architecture, is also one of 15 best Hanoi restaurants. Coming here, you can enjoy the delicious sea foods like oysters, crab, sashimi, escargot, as well as, Vietnamese spring rolls. This restaurant is open for dinner only as the other time of the day is spent on preparing for dinner service. Therefore, customers are always served the best here. If you want to look for a good restaurant when you are travelling in the center of Hanoi city, Sen Ly Thai To is a great suggestion. La Verticale is a great dining restaurant in a colonial-style mansion. It has an open kitchen where customers can directly see the chef cooking. The menu is seasonal with the Vietnamese spices and herbs, but produced with French techniques. This make La Verticale one of the beloved Hanoi restaurants. Some popular dishes here are veal in tamarind, ratatouille, Mekong fruits sorbet, and duck terrine. There is a set menu with wine pairing, as well. The wine list here is great, the service is good, staffs are thoughtful, and the ambiance is romantic. You can even watch the city from a roof terrace of the restaurant after having dinner here. If you come to Hanoi, do not miss a chance to enjoy your meal in La Verticale, one of the 15 best Hanoi restaurants. Call the number +844 3944 6317 for reservation. Highway 4 is one of the 15 best Hanoi restaurants. It has a menu with almost all of Vietnamese traditional foods. 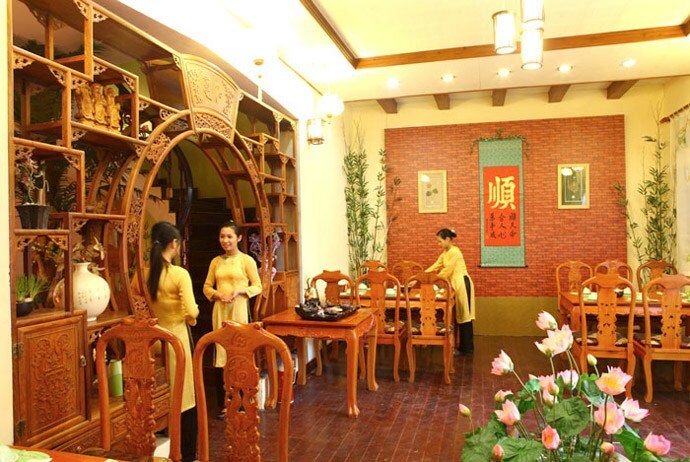 The furnishings are classic, and the staffs can speak English well. Catfish spring roll (nem hải sản) is one of the most popular dishes of the restaurants that everyone who ever comes here wants to enjoy. There are many other delicious foods that will satisfy your taste. Loving Hut is one among the 15 best Hanoi restaurants. 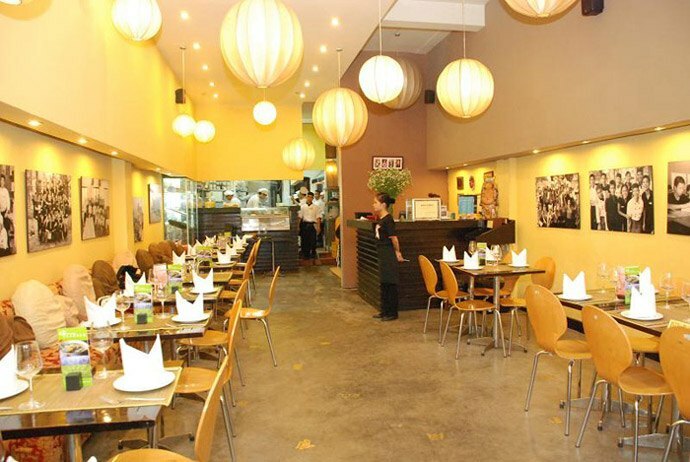 It is located on Quan Thanh Street, the center of Hanoi, with a great selection of foods. 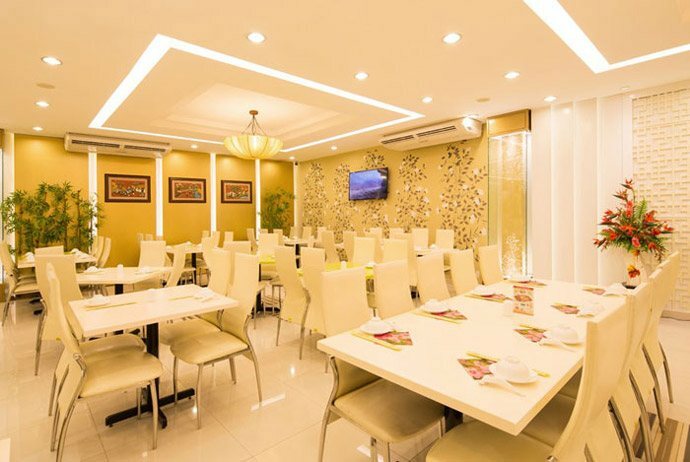 When you come here, you will see a modern decorating style, clean space, and very considerate staffs. 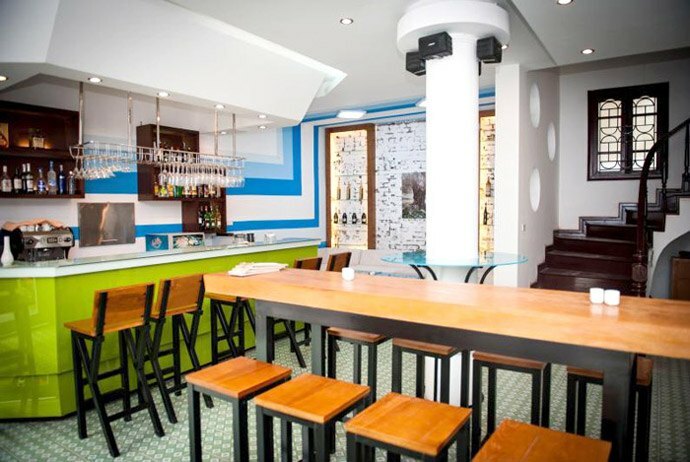 Beside vegan food, the restaurant also serves coffee and many other on-alcoholic beverages. Daluva, situated on To Ngoc Van Street, is also one of the best Hanoi restaurants. Its owner is extremely passionate and knowledgeable about vegetarian food, so he has created many yummy and artful dishes. The menu is very clear in English with detailed explanations that make it easy for foreign tourists to choose what they want to eat. You are also welcome to ask for modifications on the menu. 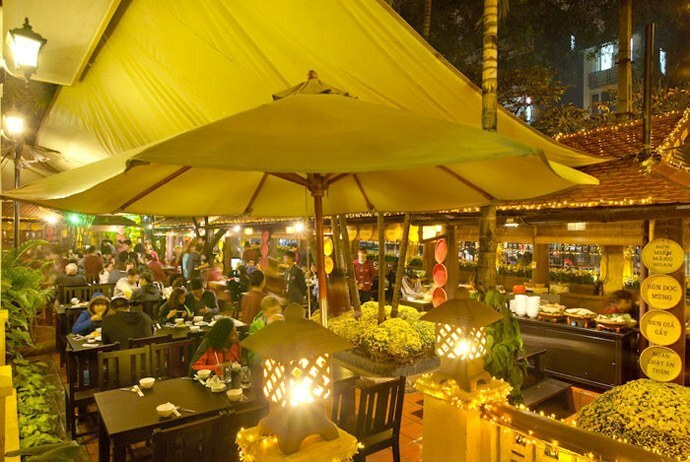 Daluva is considered one of the best restaurants in Hanoi, Vietnam that foreign tourists always want to come for meals. Nang Tam is one of the oldest Hanoi restaurants. 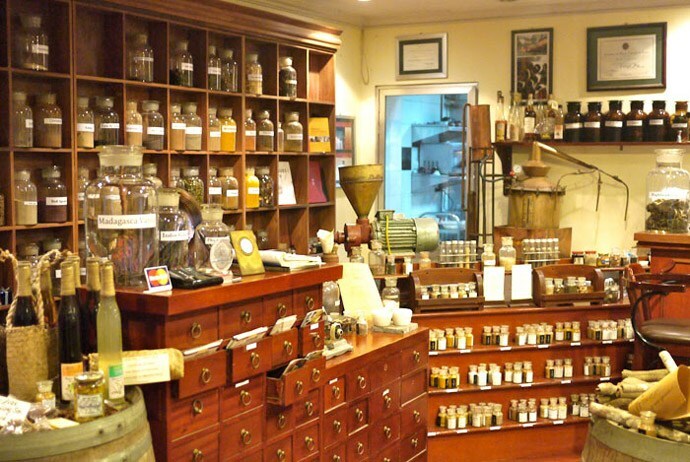 It was established in 1995, and has been serving many customers. The restaurant is mainly decorated in green and yellow. One among the most typical foods here is fried young tofu with crispy skin, bringing you an unforgettable experience when eating it. Coming to Nang Tam, one of the best restaurants in Hanoi, Vietnam, you can enjoy many delicious vegan foods which are good for your health. In this writing, I have listed out 15 best Hanoi restaurants. Each of them has its own style and typical dishes. I hope the information I provided here is helpful for you when you travel to Hanoi. 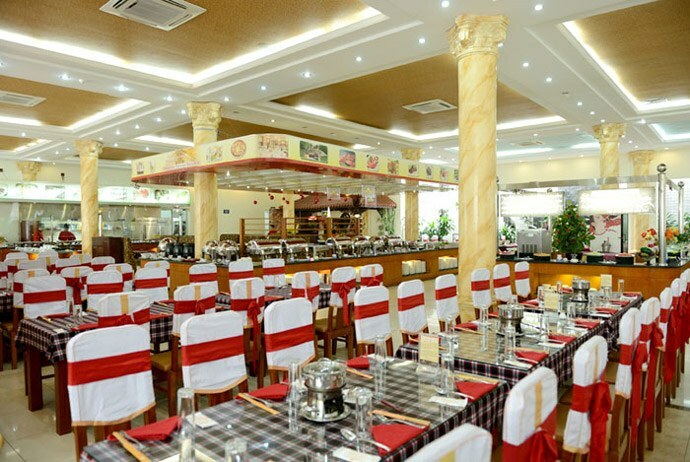 If you want to enjoy many foods including Vietnamese and Western dishes, you should choose buffet restaurants. If you want to enjoy some Vietnamese specialties, choose other restaurants listed above. If you are on a vegan diet, choose vegetarian restaurants to enjoy your meals while travelling in this city. No matter what type of restaurants you pick up, the price is always good. Many foreign tourists have exclaimed that Hanoi is one of the best food cities in the world where they can enjoy many dishes at very reasonable prices.